Might release in 2013 or beyond. 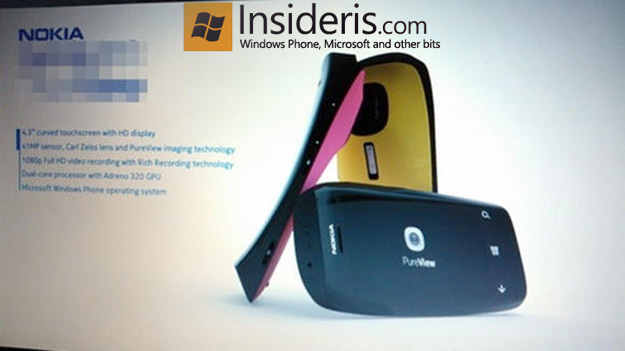 Even though we’ve heard a lot of unjustified rumors about the upcoming Surface Phone, there is not enough sufficient information that reveal the software giant’s plans. However, if you dig deep enough, some interesting bits will be revealed. 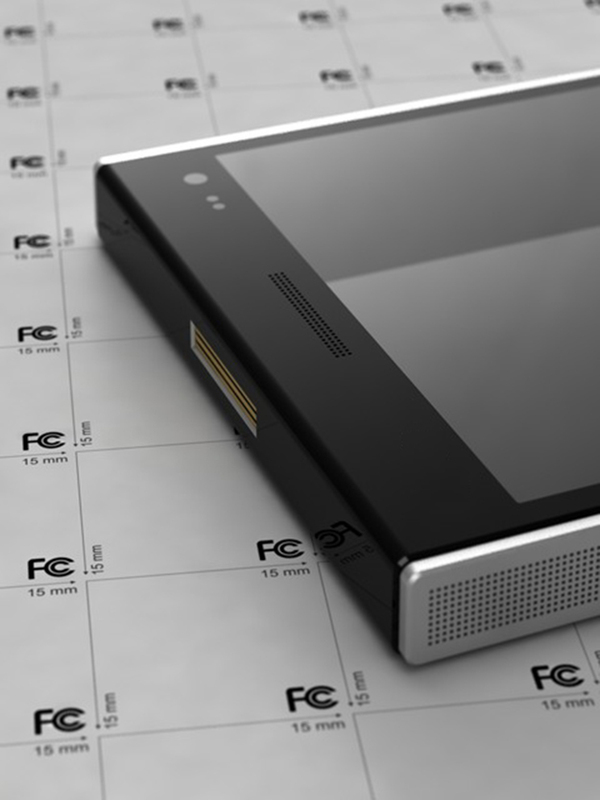 So why do we believe that Microsoft is working on a Surface Phone? 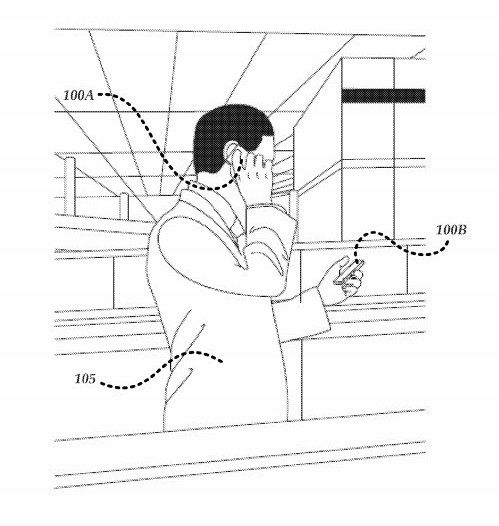 Just a couple of months ago, the software giant has patented a predictive behavior system, which would drastically improve the overall system responsiveness by anticipating finger movements in places that make sense (for example: buttons). In addition to that, Microsoft Research has published a demo of the HPT (High-Performance Touch) display, which can be seen in the video below. 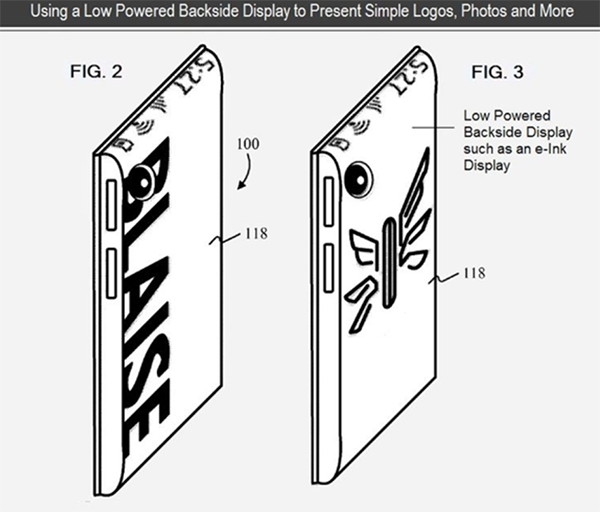 After revealing Microsoft’s vision for the year 2015, the software giant has filed a patent for the detachable display, which can be operated as both separate or same device. Check the video below to get a better idea. 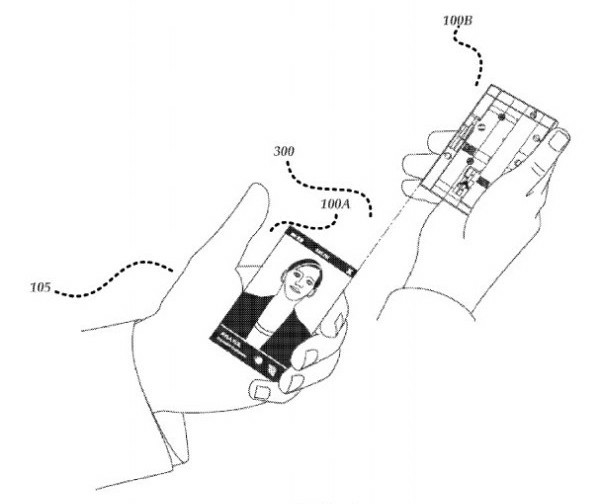 Here is another interesting patent that too was filled this year, revealing the possibility of the Surface Phone with two displays. What for? The second, ink like display, would be used to display a photo countdown when taking pictures, date and time and other relevant data. 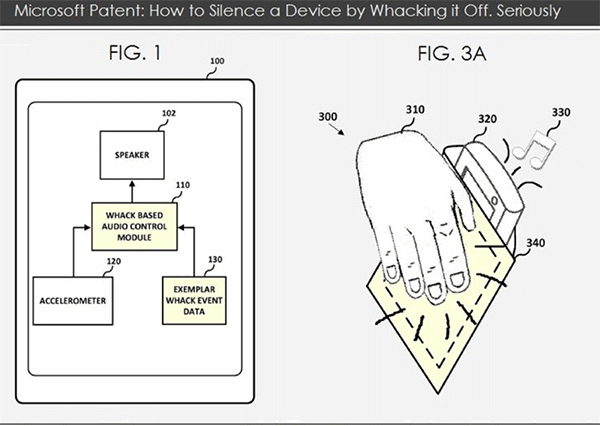 Believe it or not but the recently filled patent by Microsoft indicates about the possibility to silence device by whacking it off. 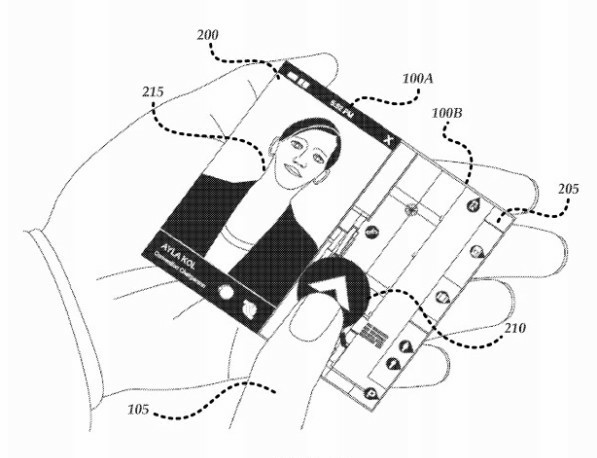 Just when we were writing the article, the software giant has been granted a yet another patent, which describes flexible displays with short and long-throw projectors as well as multi-touch sensing hardware. Well, here is another peace to the puzzle, when asked about the Surface Phone. That’s a pretty interesting comment, I would say. 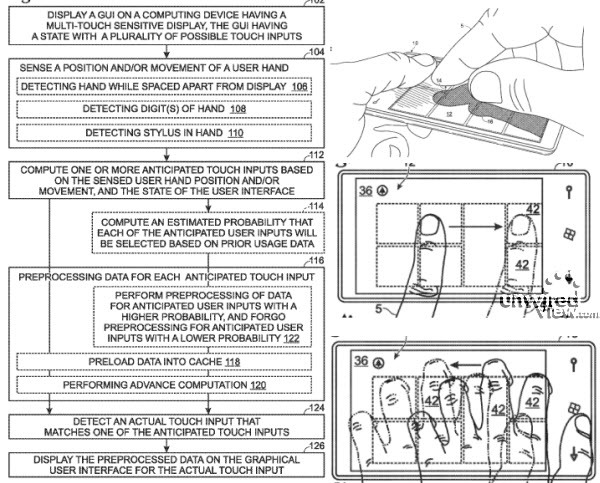 Those are not the only smartphone patents that Microsoft has as we only picked the ones that were filled this year. 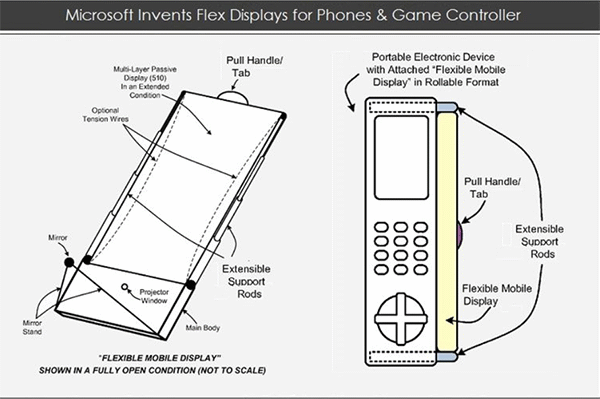 So here you have it, with all the recent inventions and CEO statements, it’s easy to imagine what the Surface Phone could or will look like. 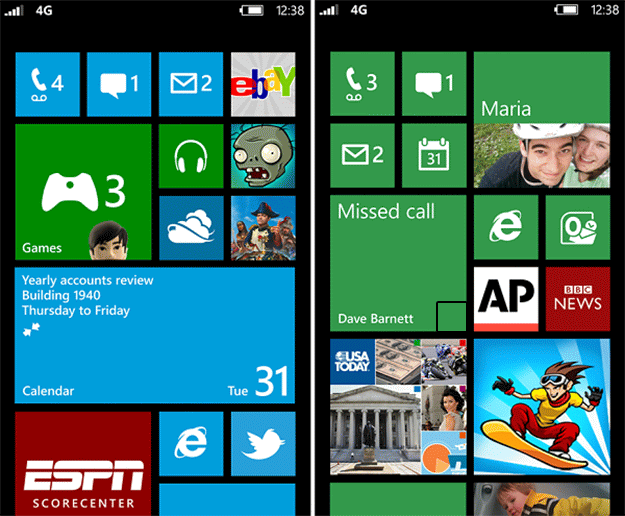 Microsoft should make a phone with hardware slide out landscape qwerty keyboard. They are holding some interesting patents for that.